The high rate of co-occurrence between post-traumatic stress disorder (PTSD) and alcohol use disorder is spurring a growing number of researchers to investigate new therapies that address both disorders simultaneously. 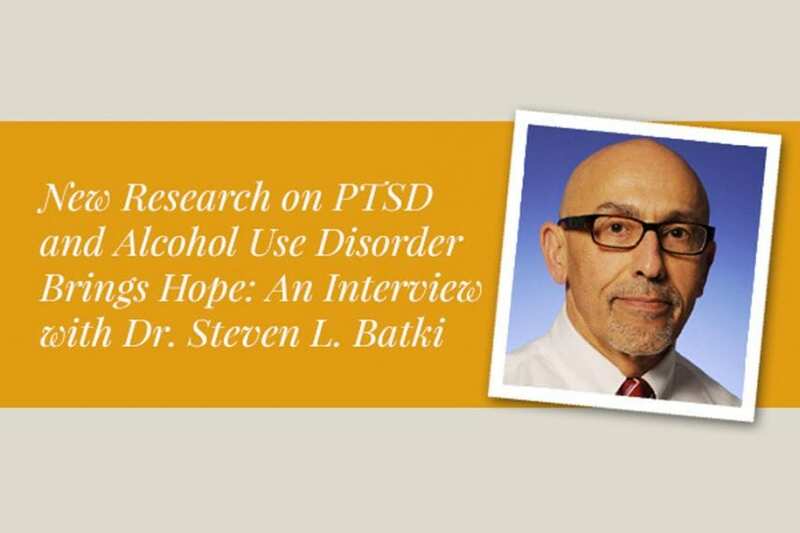 In this interview, Dr. Steven L. Batki talks about his new researchand its implications for the future of PTSD and alcohol use disorder treatment. Although widespread use of new treatments may be long off, patients at Alta Mira Recovery Programs are already benefitting from current and ongoing research on true dual diagnosis treatmentapproaches. PTSD hurts. The flashbacks, nightmares, depression, irritability, and anxiety caused by PTSD can deeply disrupt emotional well-being and may result in profound loss of functioning. Under such conditions, alcohol can seem like an attractive source of temporary respite from the pain of trauma. It numbs you, helps you sleep, makes you forget. It offers an illusion of safety that can be deeply comforting in the depths of distress. But alcohol doesn’t cure you. In fact, it often results in a dangerous addiction that keeps you locked in a cycle of suffering. Dr. Steven L. Batki understands the connection between PTSD and alcohol use disorder better than most. As a professor in the Department of Psychiatry at the University of California, San Francisco (UCSF) School of Medicine, Chief of the Substance Abuse Program at the San Francisco VA Medical Center, and Director of the Addiction Research Program and Addiction Psychiatry Program at UCSF, he is a leading expert on both substance use disorders and their relationship with traumatic stress-related disorders. 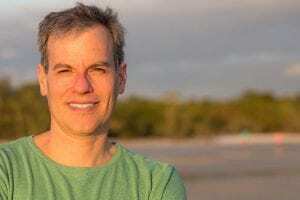 In this interview, he shares insights from his current research on PTSD and alcohol use disorder treatment and how it informs his work as primary consulting Addiction Psychiatrist at Alta Mira. There’s a well-known and long-recognized co-occurrence of PTSD and substance use disorders, particularly alcohol use disorder. Research shows that people with PTSD are 2-4 times more likely to develop a substance use disorder (SUD) in their lifetime, which can create emotional and behavioral conditions that complicate treatment and increase relapse risk. As such, there is now rising interest in integrated, dual diagnosis treatment that seeks to address these disorders concurrently in order to facilitate sustainable recovery from both. Dr. Batki is one of the researchers leading the way as the medical community investigates new pharmacological treatment methods that target PTSD and alcohol use disorder simultaneously. Dr. Batki and his research team found that 12 weeks of brief weekly health-based motivational counseling led to a greater reduction of alcohol use and PTSD symptoms in subjects who also received Topiramate as part of their treatment than in those who received the placebo. Although the sample size was small—comprised of just 30 veterans—the results were promising enough to secure funding for a larger study from the Department of Defense. The studies add to a small but growing body of research suggesting that Topiramate may be a viable treatment for both alcohol use disorder and PTSD. So why does Topiramate work for both conditions? “There’s a very major overlap in the parts of the brain that are affected by alcohol use disorder and PTSD,” Dr. Batki says. Both disorders involve deep, older, central parts of the brain that control the regulation of emotion and our response to stress. In individuals who have traumatic stress experiences, re-experiencing stress has been shown to be a trigger, or cue, for increasing craving for alcohol and other substance use. Topiramate may reduce that link between stress response and craving for alcohol. This is important because, as Dr. Batki points out, there are currently few pharmacological therapies that address PTSD. “The fact is that medication for PTSD is still in a very early stage of development and the currently approved medications, such as SSRIs [selective serotonin reuptake inhibitors] and other antidepressants, aren’t very effective,” he explains. Pharmacotherapy that not only treats PTSD but also addresses alcohol use disorder could open up a new, more effective path to healing for people struggling with these co-occurring disorders, both by providing effective treatment and by reducing barriers to therapeutic engagement. “It is well-recognized that re-experiencing stressors is something that has to be addressed in order to facilitate treatment engagement and retention,” Dr. Batki explains. I think it’s a reasonable assumption to make that reducing the day-to-day stresses, which can be triggered by therapeutic interactions, may play a role in increasing the accessibility of psychotherapeutic involvement. Hopefully, it also reduces the impact of both internal and external stressors faced by patients and reduces the potency of those stressors to serve as triggers for cravings or returning to drug and alcohol use, as well as the anxiety that can sometimes emerge from abstinence from substances. In other words, the use of Topiramate may both reduce symptoms on its own while also nurturing greater psychotherapeutic engagement by minimizing the stress that can prevent you from fully participating in psychotherapeutic and peer support-based treatment. While Dr. Batki’s work may change the way PTSD and alcohol use disorder are treated on a wide scale in the future, it is already benefitting patients at Alta Mira. “The research very much influences treatment for alcohol use disorder and PTSD at Alta Mira,” he says. It increases our already high level of sensitivity for the need for the use of medications in both alcohol use disorder and PTSD if the PTSD symptoms are severe enough. That’s an important point because, very often, medications are underutilized in many addiction treatment settings. There’s a great deal of evidence in the medical literature showing the results of surveys and examination of patient records that shows that among individuals with alcohol use disorder in the United States, probably fewer than 20% of them are ever offered medications for relapse prevention. For PTSD, there’s a higher rate of medications being offered as part of treatment in addition to psychotherapy. However, in PTSD, it is well-known that the medications we have exhibited very limited effectiveness. Being aware of current research that shows the potential for benefits of certain medications both for the treatment of traumatic stress symptom reduction and to reduce the chances of relapse to alcohol use is really important. 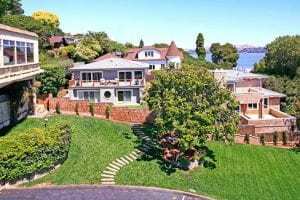 Indeed, Alta Mira’s sophisticated capacity to assess and treat co-occurring disorders using cutting-edge research by virtue of its close relationship with the UCSF School of Medicine and the addiction psychiatry fellowship program is unusual. Thanks to its connections, Alta Mira is able to apply the findings from current and ongoing research in an integrative way to improve treatment outcomes for its clients. Alta Mira’s commitment to dual diagnosis treatment is unique in the recovery community. “I think the under-treatment of PTSD in substance use disorder is probably the rule rather than the exception, unfortunately,” says Dr. Batki. Despite the ideal of integrated care that has arisen in the past 10-20 years, it is rare to find treatment settings that truly work from a dual diagnosis approach. The reason for the lack of truly integrated treatment is that even at the present time, in 2017, there is largely a separation between mental health systems of care and substance use disorder systems of care. Even high-end treatment programs aren’t fully prepared to 1) do the assessment and assess for the presence or absence of PTSD and to assess the severity of the symptoms, 2) offer psychotherapies during the presentation of substance use disorder treatment, and 3) offer pharmacotherapies to go along with the psychotherapy for PTSD. Conversely, little attention is typically paid to alcohol and substance use disorders in general mental health treatment settings. Even psychiatrists who are well-versed in the prevention of PTSD and other non-substance use-related mental health problems may not be fully prepared to provide pharmacotherapies or psychotherapies specific to substance use disorder. “Finding treatment settings that can address PTSD and alcohol use disorder concurrently is a challenge,” Dr. Batki says. “Offering dual diagnosis treatment is certainly one of the premier goals of Alta Mira, and something that I think the program specializes in is the very explicitly stated goal of addressing both of these disorders concurrently.” By combining the best medication-based therapies with psychotherapeutic interventions, such as cognitive behavioral therapy, trauma-based therapies, and EMDR, Alta Mira is able to craft truly holistic healing experiences to help you find freedom from addiction and traumatic stress. Alta Mira offers comprehensive treatment for people struggling with substance use disorders as well as co-occurring mental health disorders like PTSD. Contact us to learn more about our innovative programs and how we can help you or your loved one start the journey toward lasting recovery.